Radar test set. AN / SPQ-10. Front panel and chassis. 19" rack. Full of useful parts. These test sets were brand new so there is no wear and tear. Value of parts if removed and sold on our website is over $500. Radar test set. AN / SPQ-10 sub-assembly - for parts. 7 - 10 GHz. 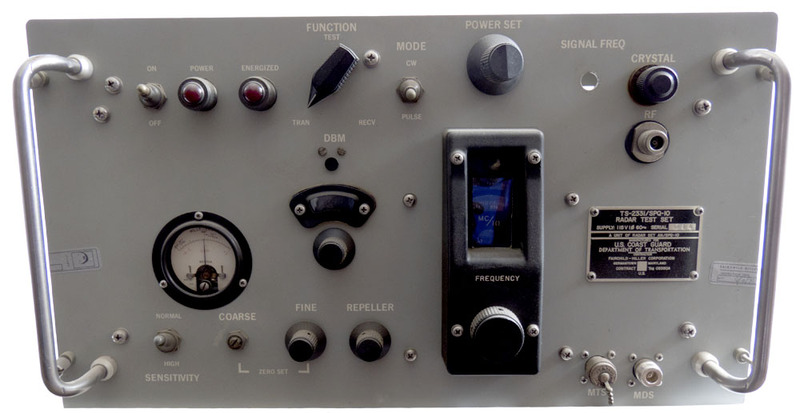 Includes tunnel diode amp, mixers, filters, detectors, "SMA" connectors, waveguides and much more. +750 vdc power supply. Removed from brand new equipment. Never in service. 16" x 12" x 14"H.